In 1987, on August 15-17th Ananda Bosman was part of the Harmonic Convergence where over 5 million people over the planet linked in 7.8 Hz through the “Earth Sound” Schumann Resonance. In 1992, Ananda Bosman, during a seminar he gave in Wiesbaden, proposed an a question formulated by musician Kailash, to implement a harmonic music revolution in rave culture, using 8Hz and harmonic tuning in equal tempering. 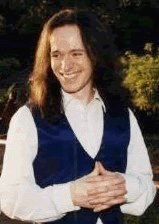 In April 1994, Ananda read classical musicians Jonathan Tennenbaum’s essay on 432 Hz tuning, and by August 1994, talked about this in his Oslo Seminar and others. 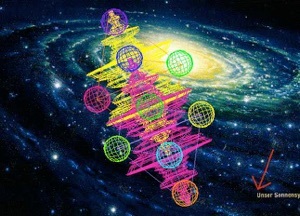 By 1997, Ananda Bosman had received the complete vision of the Omega-432/256/512 Hz with 8Hz, Harmonic Music Revolution. 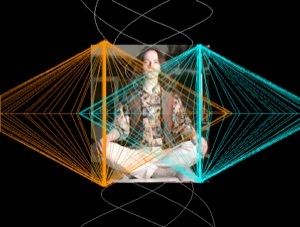 In Ananda’s first two songs All-Oneness, during 2001, Ananda also began adding other Sacred Geometrical numbers to the mastering. Which became fully developed by Universal Dances II, which produced his CD, Universal Dances (vol. 2). 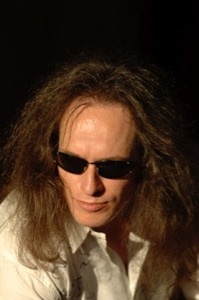 By 2004, Ananda was rapidly composing and experimenting with all kinds of styles, and rapidly progressing towards his UFOM: Unified Field Overall Mastering. Which cancels out the squaring of sound waves, and enables many more instruments and drums to coherently appear concurrently in electronic compositions, and mastering of music. Following a series of underground CD’s both in Trance and Ambient form, as well as electronic meditation forms — by 2010, UFOM had been mastered as a new Art to be added to the AUMega Music Revolution. Due to high plagiarism of Ananda’s ideas from his 2000/2001 Universal Dances web article, Ananda has decided to keep the UFOM part private, which he is passing onto a few students only. Apart from DJ Nki, and a few others, around 2006 and 2007 other musicians began to bandwagon onto the 432Hz aspect of the AUMega Music Revolution. Ananda’s interaction with these are relayed in the article below [DOCUMENTATION]. copyright© Ananda Bosman 2008, 2009, 2011, 2012, & © 2013, by Ananda MJ Bosman. August 15-17th 1987, Harmonic Convergence, Ananda participates in the Global 5 million plus link up with 7.8Hz Schumann resonance Earth Tone, used in conjunction of sounding “OM”, and linking in alpha=8Hz brain hemisphere synchronisation (meditation using the Schumann resonance base frequency foundation of Earth, and 8Hz as the H-Constant of the universe (as this researcher finds out in 1989. March-May 1992, Kopehagen, Denmark: Our vocal songs (Ananda singing) “One” and “Light My Flame” played on numerous Danish radio stations (like: Radio Unicorn, Radio Nye Tider); lyrics were spiritual, no AUMega Music harmonix, ambient-pop style. 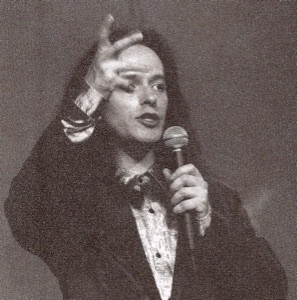 November 1992: Ananda seminar Wiesbaden, Germany, musician Kailash, who played in the music breaks, asks a question about rave culture and emerging techno culture popularity and solutions towards this. Ananda’s response is that we have to create a new alternative version to meet this awakening culture midway, using harmonic musical principles, such as 8Hz and its multiples like 256Hz and 512Hz, as seen in the research of doctor Puharich (whose collection of science papers Ananda had received in 1989, from a dutch colleague Onno Veltmann). This is the first glimpse of the AUMega music revolution. August 1994, Oslo, Norway: Use of the pentagonal Sierpinski harmonic tuning diagrams of the solar system in our Oslo seminar. I read a paper on 432Hz tuning by Jonathan Tennenbaum (founder of the classical music 432Hz tuning revolution), and making my own sacred geometrical animations with inter-tetrahedrons in developing our “Vortexijah” become more aware of the harmonic numbers of creation. These become part of our 3 hour Vortexijah video made for an art conference, versions 1994 & 1995. The sacred geometrical and intergeometrcal numbers also appeared in Ananda’s analysis of Dr. Raymond Chiao’s Faster Than Light Phase Conjugation of lasers’ speeds. Time-Gate 1996, Norway and Greece: Am beamed repeatedly what seemed like “techno music” through the future wave, the melodies for our song “Andromeda”, and to some degree “4Given: Paramanuthus”, emerged from this. Beamed visions of global gathering of tribes, ethno and post-modern in a global concert using musical harmonics, biofeedback, sacred geometry, harmonic dance (Tai Chi, martial arts, sacred dance), holographic sound nodes emerged. January 1997: Asgardsdane (the way of the gods), near Gol, Norway, at my friend Frode Kvisle’s house (next to where we did our april 29th Time Gate experiment to December 21st 2010). Frode and Miranda Antje Korth go outside for a walk. I go into ETI reception mode. ETI Time Reverse Wave “Andromedian Ptah/Khraton”, beams the entire AUMega revolution in 20 minutes, through a green beam, central to my entire CNS. Frode and Miranda come in all excited as they say Aurora Borealis has switched on in green beams illuminating the sky like lasers. Frode Kvisle switches on a tape recorder as I speed talk the A=432Hz AUMega Revolution ideologies. I also have been told to look on the internet to find evidence of a New Signature in the galactic background sound, it was found immediately on the haarp.gov website. Our book then in the writing “The Unity Keys Of Emmanuel: The Interuniversal Perspective For The Unity Of Diversity, contained a few references to 432. An early 1997 FAX-Zine called “The Christ Grail” also mentioned 432hz, and it became page 610 of The Unity Keys. 1994-1997: Became an expert in computer animations of hypergeometries (following our initial December 1994 modelling), as computer power increased and my understanding of the sacred numbers of the platonic solids into their intergeometrical forms were developed, and taught as whole body biofeedback techniques (Timegate, April 1996 Vortexijah: Light Body Star ship Field Propulsion, 10 day training; and especially the July-August 17 day Somanetics training, where many advanced techniques, and totally new computer animations of intergeometry were relayed, shared, and taught as a biofeedback technique. 1994-1998: The harmonic numbers were compiled into our The Unity Keys Of Emmanuel: The Interuniversal Perspective For The Unity Of Diversity, fractal coherent cosmology book. 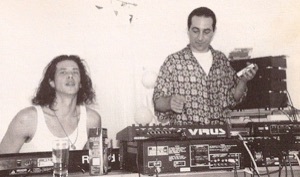 Autumn 1998, Berlin: meet Vincenzo Bianca “DJ NKI” and share the AUMega Revolution ideas, initially. 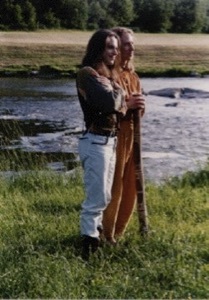 Ananda Bosman and DJ NKI in the Jotunheimen, Norwegian Alps, July 1999. Ananda on a long fasting process,, DJ NKI coming to Norway to Deep Talk the Revolution Ahead, not just A=432 Hz Music, but ALL the Harmonics and Global Concert Ideas. 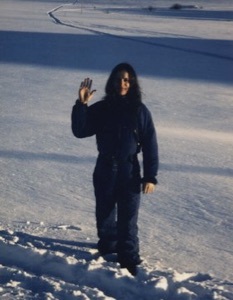 July-August 1999, Aton-Institute, Norway: Dj NKi comes for a two week visit, with friends to our Norwegian home, and stays in our mountain hut. I share the entire 432Hz AUMega Music Revolution idea with him, harmonic tempo’s, harmonic tuning, harmonic numbers in every aspect of mixing. Linking concerts holographically including through the internet, and using biofeedback technologies to amplify and exemplify the harmonic 8Hz and golden mean ratios emerging in the audiences in AUMega Concerts. The making of 8-speaker 3dimensional sound holographic node concerts. We make some songs, and make preparations. Autumn 1999, Berlin: Dj NKi introduces me to DJ Cybersnack, and DJ Aje. At the Cybersnack studio I instruct the first AUMega electronic song. Cybersnacks keyboard is detuned by -32 cents to 432Hz. A sound carpet based on the Bruce Cathie 144Hz octave harmonic is made, and 144bpm is the tempo as best as the software can manage. Sound bytes are recorded of me speaking. Result the Goa Trance song “OMEGA”, which was very popular. The sound carpet of 432Hz, 144Hz octave and 144bpm was used as an example and background multimedia sound in ALL my many many seminars from 1999 onwards. 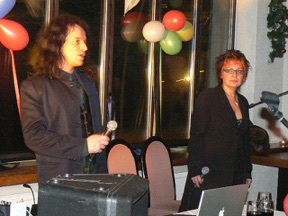 May 2000, Berlin, Germany: Dj Cybersnack and DJ NKi play the background DJ’s for my seminar in Berlin, where I speak widely about the AUMega Music Revolution (picture of the two DJ’s at that event on my universal dances web page). Universal Dances was envisioned and prepared and seeded with Elraanis magazine editor Herbert Reinig, who also published our AUMega music ideas in that magazine. DJ Aje has presents a song in his Berlin studio called “Holy Water”, tuned at 144bpm. It does not hurt the bones because of the harmonic tempo. He also gets the sound bytes of my voice from the Cybersnack studio and makes the song “Soma Agents” with our voice made to sound like a magic mushroom tyke. It is not 432Hz, but IT IS TRUE 144bpm, horay, at least. The Omega-432Hz Birth Party, which included the song OMEGA, DJ Nki’s Goa Trance Mix of Ananda's 432Hz sound carpet of 144hz octave oscillations, in 144bpm tempo, and Ananda’s sound bytes. August 2000: Sion, Switzerland: I risk another co-seminar with Dan Winter, called The Universal Grail. Dan Winter brings a musician lover, singer IBEN, to that event (swiftly dropping her in favour of another girl Fleur Anthodesmi, who did not seduce so easily). In this event I used the 432Hz, 144bpm, and 144Hz octave sound carpet throughout my presentation, and the music recorded with DJ Nki and Cybersnack. A frustrated IBEN, was very enthusiastic about our AUMega Revolution ideas and wanted to get in touch with the DJ’s. Staying in the Sion mountains, I locked myself up having to prepare the “God Code: The Mathematical Evidence For All Is God”, seminar slides. I had downloaded these numbers of the DNA, Great Pyramid, and sacred sites of the planet as a grid matrix, and the sacred numbers of the sun-moon, solar system etc., in May 2000 in my remote mountain hut, without electricity, but only a solar panel (and filmed UFOs during that time)… These download notes were a revelation and new depth to the revolution…. The God Code to be presented one week later at the annual ecumenical Schweibenalp Center of Unity, in Switzerland. The God Code animations and slides are also a major basis of the AUMega Revolution numbers, used in our UFOM: Unified Field Overall Mastering. Continue to use the A=432Hz/144bpm sound carpet in all seminars and avidly talk all over the world about the AUMega Music Revolution. 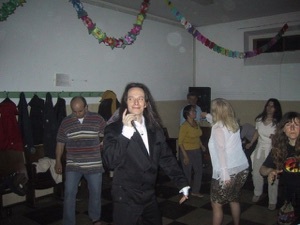 January 2001, Berlin: I go to Berlin to meet with the DJ’s and increase our unity, and prepare plans for the AUMega 432Hz Music Revolution in Universal Dances,and a cooperation of DJ’s in concert events (this was to be fragmented by one single element… Iben, alas). December 2000, Blackforest, Germany (Hause Ganese): The first DARKROOM 432Hz. We use the Cybersnack DJ NKI sound carpet, the song OMEGA, and some other AUMega songs, for “Dark Room Dancing”. Dark Room Dancing was first envisioned in three darkrooms we held in 1993, 1 high in the Austrian Alps, and the other two in Norway (one of which musician Kailash was part of). Dark Room dancing was used in our 1993-1994-1996 many numerous Dark Room retreats. Darkroom 432Hz was first applied in December 2000 (the very same darkroom where Mantak Chia studied and learnt our dark room technology, techniques, and neurophysiology. 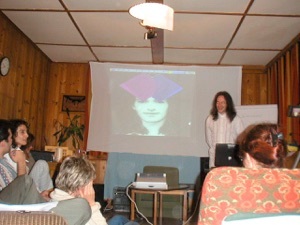 February 2001, Schwartzwald, Germany (Haus Ganese), Darkroom retreat, with 432Hz Darkroom Dancing, about 31 participants in each event, recorded on dat and tape recorder, and the presentations before darkroom entering, on video. It was Ananda Bosman who envisioned 432Hz and AUMega Music to be used in Dark Rooms for Dark Room Dancing (which itself was conceived in 1993, nearly 16 years ago). Darkroom432Hz eat your heart out, these are facts that WILL stick in history [a little heated referal to Dj Andrea Dorea who was doing 3 day Darkroom retreats with 432hz music]. May 2001, Berlin: Universal Dances 1, is organised by Herbert Reinig, based on my AUMega Music Revolution ideology from the year before, where DJ NKI and Cybersnack were my DJ’s. 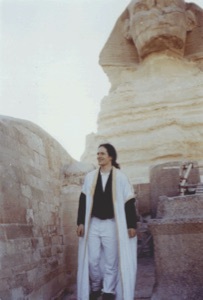 This event was one of the first that was to combine coherent information (just a small part of our 1997 download for the AUMega Revolution, making musical art an educational information technology as well, showing the harmonic numbers in relations to all the sacred sites of the planet etc.). Kailash, Nina Hagen, Goma, and other musicians joined Us, DJ NKI, Cybersnack, DJ Aje, and Iben in this event, along with spiritual speakers like Jasmuheen. It was a 4 day event, that was AUMega 432Hz Music history in the making, May 2001, just before the Love Parade, and in Berlin, remember. I could introduce the 432Hz AUMega Music revolution to between 300-600 people, with Cybersnack and DJ Nki making the background music. I was making the CGI computer animations (I actually lugged a new Apple “cube” and 20inch external screen [together with two MAC laptops, and a video projector], from Norway, at high speed dripping with sweat through Stockholm airport, to Berlin, to be able to make the animations, which including most of our intergeometry animations passing through wormholes and fractal backgrounds, that we synched to the music). 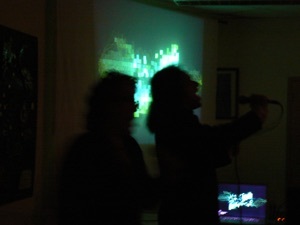 Then a concert with Nki, myself, Cybersnack, open to others was engaged. Kailash join in with didge and mantras, lots of NU form dance, and powerful sound bytes from us, ending the coherent AUMega Dance with a powerful collective invocation and meditation. No one had ever experienced something like this. Universal Dances 1, alas, had its shadow side. IBEN the singer (from the somewhat “matriarchal” Norway [at least in some communes/districts]), had used the contact to NKI I had given her in September 2000, and met up with him and fell in love, May 2001. She sings one song (not in 432Hz as far as I remember at Universal Dances 1). DJ NKI together with me takes Iben to the studio of Dj Aje, she acts as the “queen” singer and asks all the DJ’s to stop smoking in their own studio, and that she is against drugs (this sets up a very tense relation. Not only is she acting like the pop singer queen diva that the DJ is the rebel to, but she is such a puritan that no tobacco, and no hash is allowed in the studio…. I don’t personally like to take hash, its not my cup of tea, but I have no problem with others using it around me at all. Furthermore, this is THEIR information technology and fuel…. Ay ya ya. As a result of this, a rebellion takes place and fragmentation of DJ’s during the Saturday night performance of Universal Dances 1. This was now live, televised and web caste. It was supposed to be a cooperation of diverse DJ’s and musicians. DJ Aje was sooo pooped off by Iben (and Vincenzo/NKI who had gone into an anti-drug slogan and music inclination [not our way either. Use substance wisely, and balance with smart drugs, vitamins and nutrients (instead of having people being given crap, because of the no substance policy, and get really messed up) in techno-shamanic wisdom. Although DJ NKi did support the idea of Sensatonic drinks, some of which have a little effect, and are/were legal. Personally I liked Amazonian Guarana, a kind of caffein, now found in small amounts in the drink Burn, with smart nutrients like DMAE and pyraglutamic acid, an amino acid taken together with the amino acid tyrosine — good for the body. Substances will be used anyway, and it is better the quality, the wisdom, the experience and the balancing smart drugs and nutrients… the no drug policy alone, is just part of the ‘Illuminati’ “war on drugs” game that keeps heroin and cocaine running the economy… “Just say KNOW”, is the motto that replaces Heroin Cale Cartel King Pin George Bush senior’s “just say no.”]). DJ Aje took the stage and let no one one it… A few of the songs were at 144bpm, but most were not. Cybersnack was too cuddly with ecstasis cuddling with a girlfriend to do anything about DJ Aje who had taken the stage with speed, and was rather apathetic by the Iben/Nki situation, and looked like he was releasing steam, with his middle fingers on the CD dock and mixer. DJ Nki tried to do something to budge DJ Aje. So did I repeatedly. Or at least ask him to down down to 144bpm, as some of these experimental tribe trance were quite noisy. So Saturday night was loads of music, some rocked, but some was pure noise and distortion (ironically this part was web streamed to thousands), which was interesting because now the audience could compare the difference that the AUMega Revolution makes. The cooperation of DJ’s falls apart. And DJ NKI goes off with Iben, for a while. Many articles were published in the German Elraanis magazine (Berlin), and Sein magazine on 432Hz and the AUMega Revolution. October 2001, Sovazza, Italy (near Milan, Korinna Muller’s house: My first AUMega music song is composed. Exhausted from a Milan seminar, in a freezing cold house of Korinna, with a whole bottle of Cointreaux, in bed, I take a sound byte sample of the song “Emotion”, retune to 432Hz, add other instruments, and drums, with all the AUMega principles, the Sierpinski pentahedron harmonics, 8Hz for instruments and drums, pure 432.000 Hz, and true 144.000 bpm, the song is called “All-Oneness” and two different songs were made. These were then played immediately in the Slovenian seminar that followed some days later, as our new background sound carpet, and the AUMega Revolution was starting off again. DECEMBER 2001, Norway: I start to experiment with polyphase synthesizers, tuned in 432Hz, with Sierpinski pentahedral harmonics, and in modes of continuously changing oscillations and effects. 144bpm of course, and playing 24/7, at loud volume to harmonise the house. These AUMbient sounds at 144, or 72 bpm, were real experimental phases, and were important in the learning process. A large house for a Hermit allowed this experimentation. Knowing that Universal Dances II, were on the horizon in May 2002, Berlin, I foresaw that Dan Winter, Iben, and DJ NKI had a plan in store, and I knew I had to make my own music, and DEEPLY experiment, and work with utmost self sacrifice to achieve the impossible. January-February 2002 Darkroom in Neu-Mühl, Germany: My first 16 day Darkroom with my own music, 100% true 432Hz, true 144bpm, true Sierpinski pentahedral numbers in mastering… thus TRUE AUMega Music…. I used one of the ambient experiments with drums as a background for a computer voice reading an Emmanuel transmission. This background experimental phase was taken with great enthusiasm by the participants, which inspired encouragement. 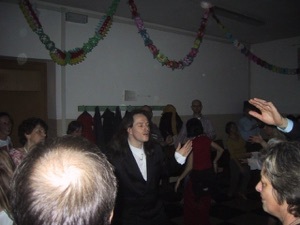 January/February 2002, Milano, Italy: We actually played one of our earlier AUMega Trance songs using sound byte samples with our programming, that was to be used in the May 2001 Universal Dances 1 event, demonstrated within our Milano seminar, organised by Korinna Muller at Campe de Luce. This may be the first proper AUMega popular music public presentation in Italy, in history. May, 2002, Berlin: Universal Dances II. A great success. We were the keynote performance. There were many hundreds of people. However, what I had been pre-viewed in December, with Dan Winter, Iben and Dj NKi, attempted to work its way out. On the first evening of Universal Dances II, with a hall filled with hundreds of people, Iben, working with DJ Nki, were shocked to hear my enhanced song “All-Oneness”, and by the discourse I then gave on the vision of the AUMega Music Revolution, with great force (they had made other plans). 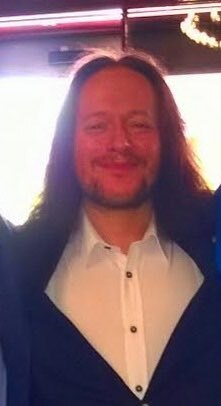 As I was inspirationally talking, ranting and raving about all the global facets, technologies and universal harmonic principles to be used in the AUMega Revolution, Iben, on stage, with a Superman t-shirt on tries to hug me from behind, to try to stop me talking about this. Not really knowing me, it made her look ridiculous. By Elraanis magazine’s Herbert Reinig, it had been agreed upon that Saturday night there would be a concert combination of myself and Iben with Dj NKI. However, Nki, fully in love with Iben, and under her matriarchal spell, arranged that only Iben and her would play on Saturday. 128BPM MAY be an interesting beat tempo, however, we have done no tests with our scientists to confirm this. The next day I was schedules to hold a speech, not a concert (having no more space allotted for a concert). 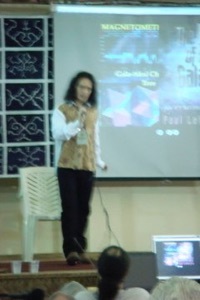 In front of 500 people I made a surprise that Sunday afternoon. For more than 2 hours we presented our new AUMega Music, which became the keynote of the event. It was recorded professionally and published as a CD by Elraanis Verlag. Before the concert, Dan Winter appears, takes a seat, but then hearing that I am about to give a concert, and hearing the quality of our compositions (which I still do not think are of the best, but just made it), he went white in the face and told people he had to leave. Dan had his presentation as the last event, that followed our keynote concert, with Iben and DJ Nki in the background providing the music and background sound (my Saturday lecture had no DJ Nki). But DJ Nki wanted to also break off from Dan Winter. However, he moved to Brussels living with Iben for some time, who turned the Italian musician (NKI) into a cook, and not making music. They split. And alas, vanished from using the harmonix, for a while. So the recent scenario with Dj Andrea Doria and his new girlfriend, is a repeat scenario for me, and I am paying attention to ECCO (as Dr. John Lilly would say, pay attention to ECCO: Earth Coincidence Coordination Office, and they pay even more attention to you). August 2002, Norway: I make my first AUMega Music song without any sampled sound bytes (usually within the legal limits of several seconds & tuned to 432Hz), called “AUMega Dawn”. Pure 432Hz, pure 144bpm, pure Sierpinski pentahedral numbers in EVERY part, 8Hz wherever possible. 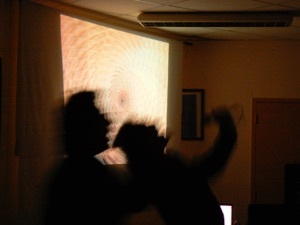 November 2002, Voralborg, Austria: During a weekend seminar I hold a short dance party, directly performing and programming the “Karmaless” music (no sequencer arrangements, but myriad multiple synthesisers with continuously changing sound effects, but pre-programmed notes, being switched on, by inspiration, at whatever e=given time of artistic creativity one chooses. This can make one very long and varied song. Karmaless music is something I want to continue with later on again, it is a very interesting concept, and also another UNIQUE expression of our envisioned AUMega Music Revolution Art. This song became recorded as 11/11/2002: AUMega Dawn Live, and will be published this year. 11/11/2002, Switzerland, near St Gallen’s: The AUMega Birthday Party was organised, with more than 100 people coming. My music set was a combination of AUMega Karmaless music, and preprogrammed sound sampled pure 432Hz harmonic tempo music. A great event, and the vantage of a new horizon up ahead. June 2003, Norway: We make our song “Sphered” in true AUMega style. It first appeared on the Dark Room Suite, and now in AUMbience-432Hz. 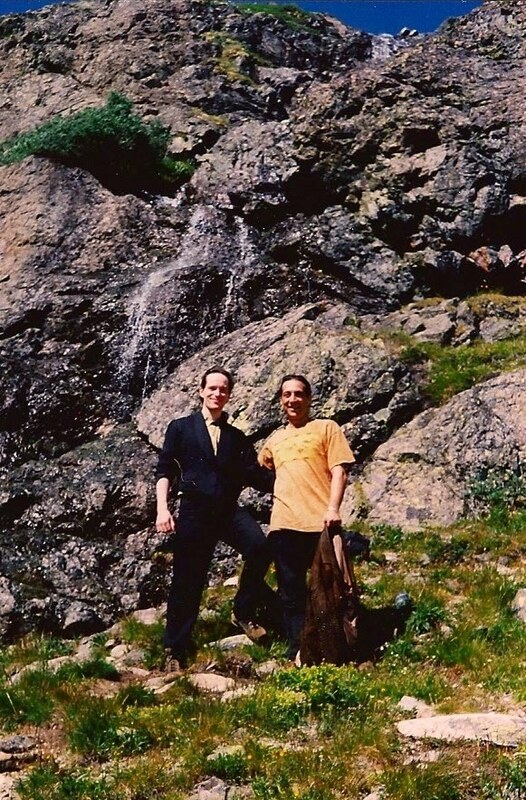 July 2003, Norway: We complete our first melodic AUMega Trance song “Horakhti: Frode’s Song” (my friend Frode died at the time I was composing this tragically, so the song was dedicated to him). August 2003, Switzerland, Near St Gallens: Universal Dance III: Open Air. Here we presented for the first time our song “Star-72” which is the skeleton for Love Staara, and “Horakhti” was the all time running favourite song. We were joined by artists like Talking Tree. Elraanis magazine’s Herbert Reinig had become disillusioned by the raging diversion and backstabbing he had seen in the two Universal Dances 432Hz events, so this event was organised by Rudolf (I presently forget his family name, but will provide it for you in the book. As he took quite some personal expense in organising Universal dances III: Open Air, and the 432Hz AUMega Birthday party, as a musician, he also was trying to create an AUMega 432Hz Music team, and had a 432Hz website for a while, so he needs to be on the record in any book that factually chronicles the AUMega Music Revolution unfoldment). December 2003, Scheibenalp, Axalp, Switzerland: Darkroom retreat 16 days at the top level of this high Swiss alpine ecumenical hotel centre. This is the first proper Darkroom with LOTS of TRUE AUMega Music. “11/11/2002 AUMega Dawn” was used for mantra singing. Many of the songs from our Universal Dances III: Open Air were played (and some that could not be finished for that event were played for the first time). Plenty of Darkroom Dancing, with True AUMega 432Hz Music, WAY BEYOND DARKROOM 432Hz. August 2003-April 2004: Compose, arrange, recompose, and expand a new series of quality true AUMega Music songs, at a new standard of quality. But all sequencer based (thus AUMega Karmanamh-Dharma music, not “AUMega Karmaless”). April 2004, Sovazza public town hall, Italy: Korinna Muller together with the Sovazza and Armeno commune arranged and organised for the very first Italian AUMega Music Revolution party, in A=432 Hz. About a hundred people came, it was in the Sovazza town hall, many locals also came. 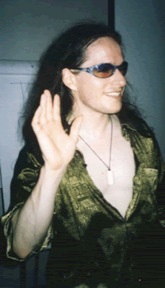 A small concert had been given before, in 2002 in Milan, with a few examples of Ananda's songs. Here for the first time our 432 Hz songs: “Miramora”, “Molykula”, “Luxor Faraying”, “4Given”, were played together with songs like “Star-72” (early “Love Staara”), and the local youth especially liked our recomposed song “Awakening Dream” (not published), which brought many cheers and whistles from the audience. So here we have the BIRTH of True AUMega Music Revolution Italia. April 2004. THIS WAS TRUE HISTORY IN THE MAKING, FOR THE AUMEGA MUSIC REVOLUTION HISTORY BOOKS. April-October 2004, many many new songs were created, and the AUMega Music technique perfected, in Norway, Italy, and Switzerland. We learnt from many diverse artists, that have inspired, given clues, insights, and instrumental techniques, to whom we are indebted. Credit has been given as best we can ascribe and uncover where credits are due. 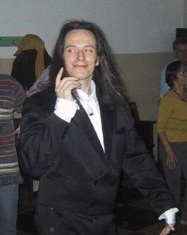 October 11th, 2004, Frankfurt: HP’s AUMega Music Birthday party. 4 hours of AUMega Trance, AUMbience, new and older songs. October-November 2004: our AUMega Song “Andromeda” was made in Milano (city), the melody beamed in the Time Gate 1996; and Nasatyas Rising expanded recomposed and finalised. January-March-April 2005: AUMega Trance vol 1. and AUMbience vol. 1, were first released, concerts in Turino, and Milano, and the Deva Center Milan. Scientist Dr. Nicola Limardo (geoprotex.it) receives his first samples of AUMega Music of various styles and tempos at the Deva center concert, which he will put through a variety of science tests, to asses their protective and healing attributes. Dr. Limardo’s results shared after experiments showed very impressive healing effects on the cardio-system and nervous system, and increased the cells charge parity health, and immunity from damaging radiations. Dr. Limardo is recognised by the Italian Ministry of Health. 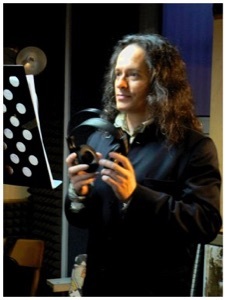 As a musician himself, acknowledging the genuine pioneering field AUMega Music is, for Dr Limardo especially for the use of health and wellbeing, he was interested in studies to examine actual reversing of organic disease with our AUMega Music. Dr. Limardo specifically recognises that it is NOT just 432Hz tuning that is the genuine ingenuity of the AUMega Music we pioneered, but all aspects: the harmonic tempos, the 8Hz effects on drums and instruments, and the sacred geometrical number ratios, in harmonic ratio to one-another, being used as a unified field mixing on all levels. February 2005, Turino, Italy: Before the concert “Star-72” was expanded with additional score, instruments and depth, to “Love Star,” which became the foundation for our vocal song “Love Staara”. July-October 2005: Many new songs made (many unpublished), experimenting with styles, learning from many other artists and pioneers, PHIne tuning the AUMega Music principles. October-December 2005: AUMega Trance volume II released, and AUMbience volume 2. Concert in Milano at Marie Saita’s geo-design centre, with our vocals on songs “ASNA: Soma Stone Of The Wise”, “DMT: Dreaming Mind Translator”, “SIVAgni”, “Star-72”. ASNA was the favorite. November 2005, Brussels, Belgium: more than a hundred people showed up for our AUMega Concert of three hours. Vocals on numerous songs, an the lyrics for Love Staara were being born. December 21st, 2005: AUMega 2012 Deja Vu (Andromeda) Party concert in Geneva. We sang solidly for 4 hours none-stop, and many lyrics for our songs were developed. Organised by Juliet Barnet (jbarmet@harmonie-corps-coeur-ame.org). Miramora vocals well, and the lyrics of “Andromeda” as well. January-March 2006: AUMedi Songs & Darkroom Suite 1 & 2 developed. March 2006, Jotunheimen, Norway: 16 day Darkroom in the deep Norwegian Alps. This was THE Darkroom where The Darkroom Suite 1 & 2 and AUMedi songs along with others were experimented with, with some very interesting results. May 2006, Ljubljana, Slovenia: AUMega Vocal Concert, organised by the Slovenian Grail Team, with a well sized attendance. “Pesu Deva” was the favorite vocal song of the concert. June 2006, Cessenatico? Italy (organised by Davide Lombarde): Saturday night AUMega Music Party, where we sing our 432Hz song “Purusah” first time with proper vocal microphone to an Italian audience. Numerous new AUMega songs introduced. The most popular song that had the audience enthusiastically singing along, was “SunyaVak”. Meet Flavia Vallega. She hears me trying to share the AUMega Logic of tuning with musician Carlo, but language barrier and intellectual barrier prevents this. Flavia is invited to sing with me in the song SIVAgni. Flavia Vallega very excited by our music, and by our ideas of the AUMega Music Revolution, at least understanding the importance of A=432Hz tuning to some degree at that point. But it will take some time before Flavia grasps the importance of the sacred geometrical ratio number harmonics in all levels of mastering, and harmonic tempos (this realisation following a minor fallout with Ananda in 2008. 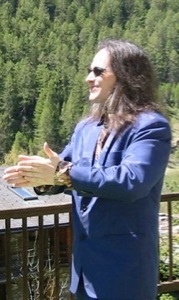 And in 2009, via Dr. Nicola Limardo, discovering the further importance of the direct musical principles that were uniquely envisioned by Ananda, pioneered and realised, in combination to make the AUMega Music distinction. September 2006, PARIS: AUMega Vocal Concert performed in a theatre near the Eiffel Tower organised by B-Harmony, with a theatre sized audience. Some of the audience even leaving the theatre seats and climbing up on the high stage to participate in dance and song with Ananda. Our recomposed song “Maha Akasha Jnana”, was one of the favourites together with “Love-Star”. November 2006, Oslo: AUMega Vocal Concert, at the Valhall Stadium, Alternative Conference. November 2006, Oslo: AUMbience volume III released, and AUMedi-432Hz volume 1 released. “Purusah” and “Love Star” were the favourites. December 2006-Janurary 2007, Aton Institute, Norway: our AUMega songs: “ECCO: Earth Coincidence Coordination Office”, “Soul Flame”, “Maha Kala”, and “Atharvan”, were developed. January 2007, Brussels, Belgium: AUMega Vocal concert given on cinema stage, raw vocals as there was no reverb or delay on the microphone. This was our first ever vocal performance on ECCO: Earth Coincidence coordination Office (by that time the vocal engineer, managed to get a little bit of echo for the song ECCO, and it was our raw power that brought the song home:-D). 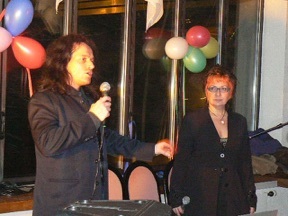 March 2007, Milano, Deva Center: AUMega Vocal concert, with special appearance of Flavia Vallega on ECCO, SIVAgni, and Love Star. This concert was called the VERGANI EVENT, as in this concert we Invoked the Sons & Daughters of All-Oneness, in the Will of the One Creator Of All-Oneness to set Vergani free”, as Patrick Vergani’s sister had been kidnapped and held random for several million euros. At the EXACT TIME of our invocation with the audience, at the end of the concert, the unthinkable happened: the kidnappers set Vergani free, and asked to be forgiven. April 2007, Sovazza, Italy: Flavia Vallega, with Robbie the drummer and another superb guitarist, make a 432hertz Project, Ananda actually sings heavy metal style. Much singing and fun is done, roughening up the voice for the music studio. April 2007, Italian Music Studio: Vocals were recorded for Love Staara, Atharvan, and finally ECCO. Flavia Vallega by the end of the day also recorded her support vocals on ECCO. June 2007, Lyon, France: AUMega Vocal Concert, Ananda shares many songs with Flavia Vallega in concerto. Miramora Opera Style (rehearsed in Sovazza, with red wine in April), was engaged with fun and power at this concert of about 100 people :-D Still a future cooperation project between Ananda and Flavia Vallega to record Miramora Opera Style vocal cooperative. October 2007: Receive an email from DJ Andrea Doria, and meet him at our alchemy course in Milano, Italy. Also meet Annalisa and Castellini and Riccardo Tristano Tuis. DJ Andrea Doria is inspired by the AUMega Music revolution, but especially the 432Hz tuning aspect. He publishes our work with some of his own ideas and research, as a musician in an Italian science journal Science & Consciousness 23rd Edition. October 2007, Milano, Italy: AUMega Trance, volume III, 432Hz, released. November-December 2007, Italia: DJ Andrea Doria’s automirebelli.org website escalated a great popularity and information awareness on 432Hz. He published our book in Italian, “432Hz: The Tuning Conspiracy”, translated by Davide Lombarde (omnifeedback.com), this free-download book had 18,000 downloads in just 10 days [this included our 2001 Universal Dances page, and Universal Dances 2003 writings]. People making 432Hz music starting springing up all over the place, and it has become very popular. However, AUMega Music has not yet been properly understood. December 21st 2007, Geneva, Switzerland: AUMega Vocal Concert, Announcing the ALPHA beginning of the DEVAYANA 12,960 year cycle to the Satya Yuga Golden Age. We are joined by Flavia Vallega on numerous songs, DJ Andrea Doria does not show up for the event, which was suppose to be a Trialogue. 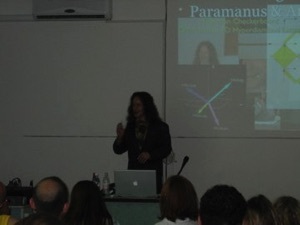 Organised by Juliet Barnet, again in 2012 resonance, when the sun was darkest before the NU Dawn of the Devayana Pathway of hyperspace, leaving the Pitaryana Pathway of hyperspace of the last 12,960 years. 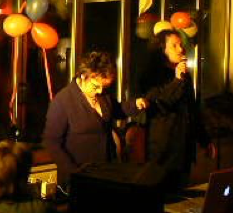 February 2008, Belgium: AUMega Vocal concert, more than a hundred people came to this mainstage concert, and most of our song’s vocals were shared with Flavia Vallega in this concert. We both sang none-stop and this concert was full of energy and coherent reception to this New AUMega Music Revolution, despite the feedback volume interference through our vocal microphones. February-March 2008: Sovazza, Italy: Dj Andrea Doria refuses to meet with us, despite the appointment being made before hand, and even recording in his studio. Instead meet Azrael, who records our vocals (although the tracks have been unusable). We gave Azrael 3 days of some VERY advanced aspects of the AUMega Revolution (that, for-instance, DJ Andrea does not know about). Azrael, also MAY hold a key for the linking of AUMega Concerts in the “Global Song” event. His Myspace page “Omega Concert” does not give any credit to us, and the Sierpinski Pentahedron is an animation from our All-One Hadron Materia webpage: phoenix.akasha.de/~aton/AOHM.html. He came to the A=432 Hz AUMega Music Revolution through our download book from Dj Andrea Doria’s website. Azrael has studied music, and may well have some unique things to contribute to the AUMega Music Revolution, we will see. 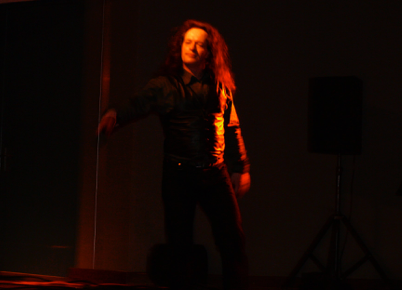 May 2008, Lyon, France: AUMega Vocal concert, AND AUMBuddha Head Concert. Many of our new and older AUMBuddhaHead style songs followed our vocal performance. A very enthusiastic audience, with none-stop dancing. Many new songs shared for the first time. Dj Andrea Doria did not show up at all to the concert, did contact the organiser or leave a message of any kind, conveying utter unreliability. June-August 2008, Norway: recomposing of several of our classical songs into totally new and enhanced versions, and new songs like “An Awakening Moment: Emmanuela’s Song”, were composed. September 2008, Austria: Seminar-Concert on the AUMega Revolution and ETI contact. Saturday night concert. Riccardo Tristano Tuis, publishes his book on the 432Hz Music Revolution in Italian, published by NEXUS Italy. A book that deserves to get its facts translated into English and other languages. TO BE CONTINUED.... “Helloween” Publish their entire new album in A=432Hz, by the influence of Ananda. “Archangel” are the first metal band to publish in 432 Hertz. 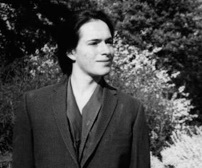 Alin Karna Joins Ananda in 2012, with his remarkable talent. A Wave of Musicians & DJ’s Join in the 432Hz Music Revolution, Worldwide.